Townspeople flock to an antique car show in the spring in downtown Amherst. Amherst County, often called “a perfect slice of Virginia,” blends the best of rural and suburban living with thriving businesses, agriculture, industry, quaint small towns, and shopping areas. Located in the foothills of the Blue Ridge Mountains, Amherst County is just minutes north of Lynchburg, 45 minutes south of Charlottesville, three hours south of Washington, D. C., and two hours west of Richmond, Virginia’s state capital. Seven elementary schools, two middle schools, and one high school serve the educational needs of the county. Amherst County’s graduation rate is above the state average, and all schools are accredited in math. Amherst County is home to Sweet Briar College, a private woman’s liberal arts and sciences college. Sweet Briar’s campus is the fourth-largest (3,250 acres) among liberal arts colleges in the U.S. and is nationally recognized for its beauty. Twenty-one buildings are on the National Register of Historic Places. There is a lot to see and do in Amherst County. 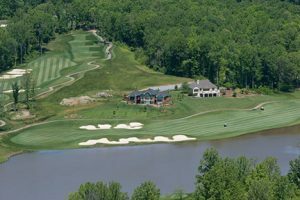 For the outdoor enthusiast, there are golf courses, lakes and parks, campgrounds, 50 miles of the Appalachian Trail, Blue Ridge Parkway, George Washington National Forest, Mt. Pleasant National Scenic Area, the historic James River and James River Heritage Trail, ATV trails, and the Blue Ridge Trail. Boating, swimming, fishing, hunting, biking, camping, birding, shopping, and antiquing are all part of this lovely area. The county operates Coolwell, Monacan, and Riveredge public parks. The Monocan Indians stage a Pow Wow each year. For history buffs, the Amherst County Museum and Historical Society’s exhibits provide glimpses of the county’s culture reaching back to its earliest days. The Monacan Ancestral Museum located on Bear Mountain provides an ongoing collection of artifacts. An 1870s log cabin, formerly used as a church for the tribe, is undergoing restoration and is recognized as a National Historic Landmark. Orchards offer the pleasure of picking apples straight from the tree or buying them already packed, and local wineries offer tours and tastings. A wide variety of craft beers is available, and a farmer’s market tempts the taste buds with locally grown produce. 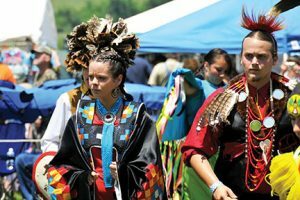 Rebec Winery’s Wine and Garlic Festival, the Apple Harvest Festival, and the Clifford Sorghum Festival highlight the fall season, while spring and summer feature the Monacan Indian Nation PowWow, the James River Batteau Festival, and the Summer Solstice Festival. 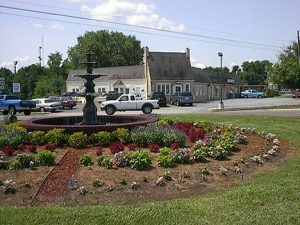 Amherst Glebe Arts Response, Inc. (AGAR) in Clifford, Va. provides a wide variety of performances and workshops, including music, theater, and dance; poetry, historical readings, and lectures; exhibits of visual art and film; and Amherst County oral history projects. 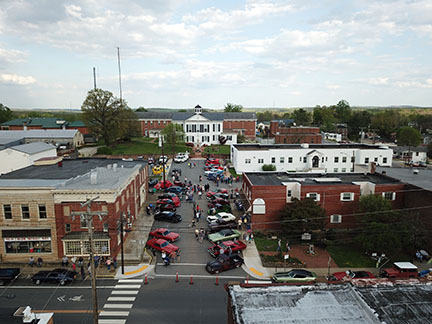 AGAR was a major presenter for the heritage celebration of the 250th Anniversary of Amherst County and the 100th Anniversary events for the Town of Amherst. The Virginia Center for the Creative Arts in Amherst County is a nationally known retreat for writers, artists and composers. Sweet Briar College’s Anne Gary Pannell Center is the College’s principal art gallery and home to its art history program. This gallery and other smaller galleries on campus hold art exhibitions for the public. The traffic circle in the town of Amherst is a point of pride for the community. 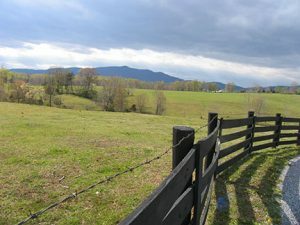 Mountain views abound in Amherst County. 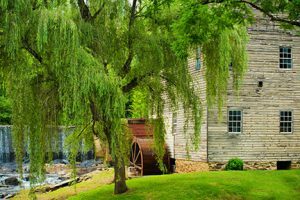 Brightwell’s Mill in Amherst County is being lovingly restored. 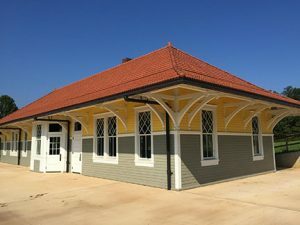 The old Amherst train station has been restored.